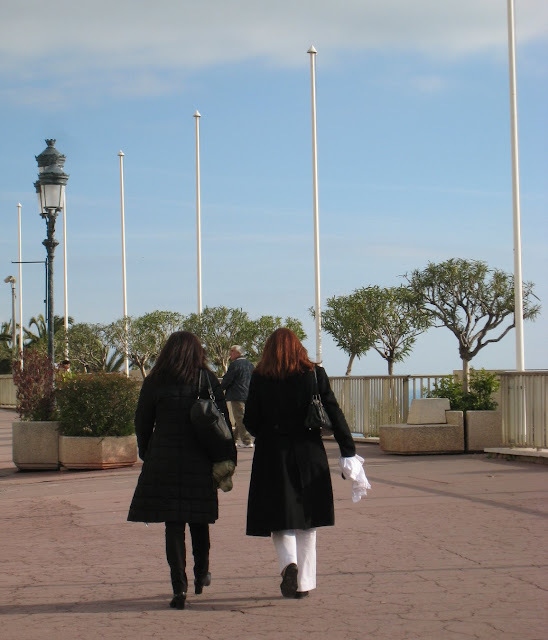 Two winter-clad ladies walking up from the port towards Casino square. White trousers in winter time? is it me or are the french losing their feeling of fashion ? I thought the same thing as Ineke! In warmer climates like yours and mine, I think you can get away with it. Great capture. It looks like to me a very good image. Thank you.